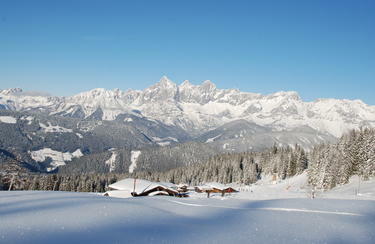 In Pichl, located in the Reiteralm and Fageralm ski region, you can count on total snow coverage. A variety of sunny slopes, modern lifts, lots of cosy ski huts and a large assortment of amenities such as the INTERSPORT Rent ski rental shop guarantee your holiday will be one to remember. The Pichl ski resort, not far from the neighbouring Schladming resort, is situated in the Reiteralm and Fageralm ski region. Breathtaking natural snow pistes, sunny descents on the mountain plateau and modern lift facilities await you. Additionally, service providers such as the INTERSPORT Rent ski rental shop invite you to enjoy a day on the Steiermark slopes to the fullest. Who wouldn’t want to slip into heated ski boots for the first run of the morning – this dream can be a reality with the INTERSPORT Rent ski depot. At the end of a long day at the slopes, simply drop off your equipment at the depot, where it is safely stored over night and dried via modern technology. A service that is warmly recommended! You’d like advice on ski rentals, or to have your skis serviced by an expert, or maybe you need some tips about safety on the slopes? 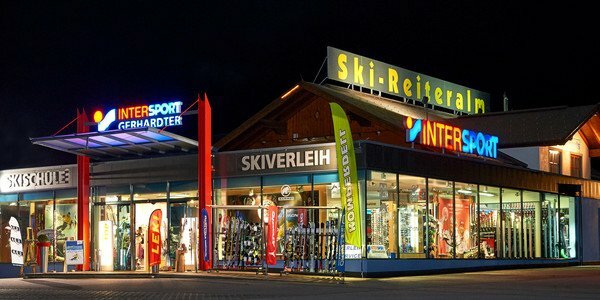 Stop on by the INTERSPORT Rent branch at the Reiteralm Valley Station. The expertly trained team is always on hand to help and offer advice.